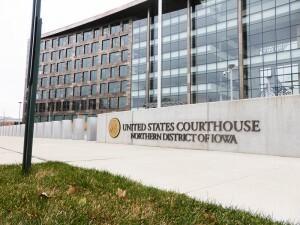 CEDAR RAPIDS – A total of 28 individuals were sentenced in Federal Court in the Northern District of Iowa between December 27, 2018 and January 25, 2019. The offenses of conviction varied, with the vast majority being drug and gun offenses. Jose Hedaldo Padilla-Ferrera was sentenced to 93 days’ imprisonment to be followed by 1 year of supervised release on one count of illegal reentry. The sentence was imposed on December 27, 2018, in case file number 18-CR-02054. Chris Bruce was sentenced to 230 months’ imprisonment to be followed by 8 years of supervised release on one count of possession with intent to distribute methamphetamine. The sentence was imposed on January 3, 2019, in case file number 18-CR-03028. Alston Ray Campbell, Jr. was sentenced to 262 months’ imprisonment to be followed by 5 years of supervised release on one count of conspiracy to distribute cocaine and cocaine base (crack) and one count of possession with intent to distribute cocaine. The sentence was imposed on January 3, 2019, in case file number 17-CR-02045. Campbell Jr. was convicted following a jury trial in April 2018, along with his brother, William Campbell, and father, Alston Ray Campbell, Sr. for offenses relating to their participation in a drug trafficking organization in Waterloo. His father and brother will be sentenced at a later date. Erick Corona Cardenas was sentenced to 120 months’ imprisonment to be followed by 10 years of supervised release on one count of conspiracy to distribute methamphetamine. The sentence was imposed on January 3, 2019, in case file number 18-CR-04016. Keylynn Landon Goldsmith was sentenced to 60 months’ imprisonment to be followed by 1 year of supervised release on two counts of use of communication facility. The sentence was imposed on January 3, 2019, in case file number 17-CR-02051. Eric John Steve was sentenced to 7 months’ imprisonment to be followed by 1 year of supervised release on one count of possession of a controlled substance (third offense). The sentence was imposed on January 4, 2019, in case file number 18-CR-01031. The case arose from Steve’s possession of heroin. Antonio Scott McGhee was sentenced to 33 months’ imprisonment to be followed by 3 years of supervised release on one count of possession of a firearm by an unlawful user of a controlled substance. The sentence was imposed on January 4, 2019, in case file number 18-CR-02019. Sanela Dedic was sentenced to 3 years’ probation on one count of conspiracy to commit marriage fraud. Selmir Salkanovic was sentenced to 93 days’ imprisonment to be followed by 3 years of supervised release on one count of conspiracy to commit marriage fraud. The sentences were imposed on January 4, 2019, in case file number 18-CR-02057. Salkanovic, a citizen of Bosnia, overstayed his visitor visa. Dedic, Salkanovic’s sister and a naturalized citizen of the United States, found a United States citizen, a young woman, from Waterloo, Iowa, to marry Salkanovic in an attempt to defeat United States immigration laws. Salkanovic and Dedic promised to pay the young woman $5,000 to marry Salkanovic. Salkanovic married the young woman one week before the departure deadline. Francisco Javier Ransaure-Jacome was sentenced to 18 months’ imprisonment to be followed by 1 year of supervised release on one count of illegal reentry. The sentence was imposed on January 8, 2019, in case file number 18-CR-04061. 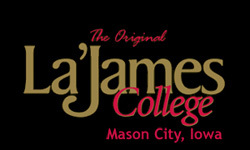 Ransaure-Jacome had previously been convicted in Clay County, Iowa, of attempted burglary, assault with a dangerous weapon (a knife), and assaulting a fellow inmate at the Clay County jail. Adrian Harlan, Jr. was sentenced to 3 months’ imprisonment to be followed by 1 year of supervised release on one count of possession of a firearm and ammunition by a drug user. The sentence was imposed on January 10, 2019, in case file number 18-CR-04027. Duaine Harbert was sentenced to 113 months’ imprisonment to be followed by 5 years of supervised release on one count of conspiracy to distribute methamphetamine and one count of distributing heroin. The sentence was imposed on January 10, 2019, in case file number 18-CR-04008. Boulder Young was sentenced to 120 months’ imprisonment to be followed by 5 years of supervised release on one count of conspiracy to distribute methamphetamine. The sentence was imposed on January 14, 2019, in case file number 17-CR-04030. Traeton Wilharm was sentenced to 60 months’ imprisonment to be followed by 5 years of supervised release on one count of conspiracy to distribute methamphetamine. The sentence was imposed on January 15, 2019, in case file number 18-CR-02027. Henry Lee Booth was sentenced to 18 months’ imprisonment to be followed by 3 years of supervised release on one count of possession with intent to distribute a controlled substance and one count of possession of a firearm by a prohibited person. The sentence was imposed on January 16, 2019, in case file number 18-CR-04030. William James Wesley was sentenced to 41 months’ imprisonment to be followed by 3 years of supervised release on one count of possession of a firearm by a prohibited person and one count of possession with intent to distribute a controlled substance. The sentence was imposed on January 17, 2019, in case file number 18-CR-01011. The sentencing judge enhanced Wesley’s sentence for threatening a grand jury witness in an unrelated case. Victor Wicher was sentenced to 71 months’ imprisonment to be followed by 3 years of supervised release on one count of possession of a firearm by a prohibited person. The sentence was imposed on January 17, 2019, in case file number 18-CR-00057. At the time he possessed the firearm, Wicher was a felon with three prior domestic assault convictions and a history of other violent offenses. His offense was based on an incident where he threatened to kill himself during an argument with his then-girlfriend while holding a gun to his head. Wicher later entered into the then-girlfriend’s residence, choked her and threatened her and a family member in an attempt to prevent her from cooperating against him. Wicher was convicted of a fourth domestic assault offense based on the incident involving him entering the then-girlfriend’s residence and threatening and choking her. Jesse Andrew Hall was sentenced to 60 months’ imprisonment to be followed by 3 years of supervised release on one count of possession of a firearm by a drug user. The sentence was imposed on January 17, 2019, in case file number 18-CR-02021. Gerald Francis Straka was sentenced to 8 months’ imprisonment to be followed by 3 years of supervised release on one count of possession of a firearm by a drug user. The sentence was imposed on January 18, 2019, in case file number 19-CR-01020. Derrick Ford was sentenced to 20 months’ imprisonment to be followed by 3 years of supervised release on one count of interference and attempted interference with commerce by threats and violence and aiding and abetting such violation. The sentence was imposed on January 18, 2019, in case file number 18-CR-00015. Ford served as the driver for Gage Rupp and Cedric Wright who robbed a Cedar Rapids Sprint Store of more than $40,000 in electronic devices and cash. Rupp and Wright have also been convicted for their involvement in the robbery and for carrying a gun found in the robbery getaway car. Wright was also convicted at trial in November 2018 of carjacking the robbery getaway car at gunpoint from a Kirkwood college student the night before the Sprint Store robbery. Rupp and Wright will be sentenced at a later date. Juan Sanchez-Velasco was sentenced to 136 days’ imprisonment to be followed by 1 year of supervised release on one count of illegal re-entry. The sentence was imposed on January 18, 2019, in case file number 18-CR-00088. Cornelius Herbert Terrell Wright was sentenced to 18 months’ imprisonment to be followed by 3 years of supervised release on one count of distribution of heroin. The sentence was imposed on January 23, 2019, in case file number 18-CR-00061. The case arose from Wright’s distribution of heroin that was laced with synthetic fentanyl. Christopher Smith was sentenced to 36 months’ imprisonment to be followed by 3 years of supervised release on one count of possession of firearms by a felon. The sentence was imposed on January 23, 2019, in case file number 18-CR-03015. Dominique Dwight Williams was sentenced to 6 months’ imprisonment to be followed by 3 years of supervised release on one count of possession of a firearm by a drug user. The sentence was imposed on January 24, 2019, in case file number 18-CR-00046. At the time of his arrest, Williams needed to be subdued with a taser after he initially failed to respond to police directives. Dion Clayborn was sentenced to 144 months’ imprisonment to be followed by 6 years of supervised release on one count of possession with intent to distribute a controlled substance near a protected location. The sentence was imposed on January 25, 2019, in case file number 18-CR-00051. Brianna Marie Martin was sentenced to 27 months’ imprisonment to be followed by 6 years of supervised release on one count of distribution of heroin. The sentence was imposed on January 25, 2019, in case file number 18-CR-01021. Martin distributed methadone to a person who died after using the drug. Dakota Lee Sanders was sentenced to 120 months’ imprisonment to be followed by 5 years of supervised release on one count of conspiracy to distribute methamphetamine. The sentence was imposed on January 25, 2019, in case file number 17-CR-03060. Samuel Arias was sentenced to 57 months’ imprisonment to be followed by 2 years of supervised release on one count of conspiracy to distribute methamphetamine and one count of conspiracy to commit money laundering. The sentence was imposed on January 25, 2019, in case file number 17-CR-02084. Arias’ money laundering conviction resulted from his opening a bank account which was used to launder approximately $280,000 in drug proceeds. Great, 27 losers that the tax payers of Iowa get to support, up to 20 years.